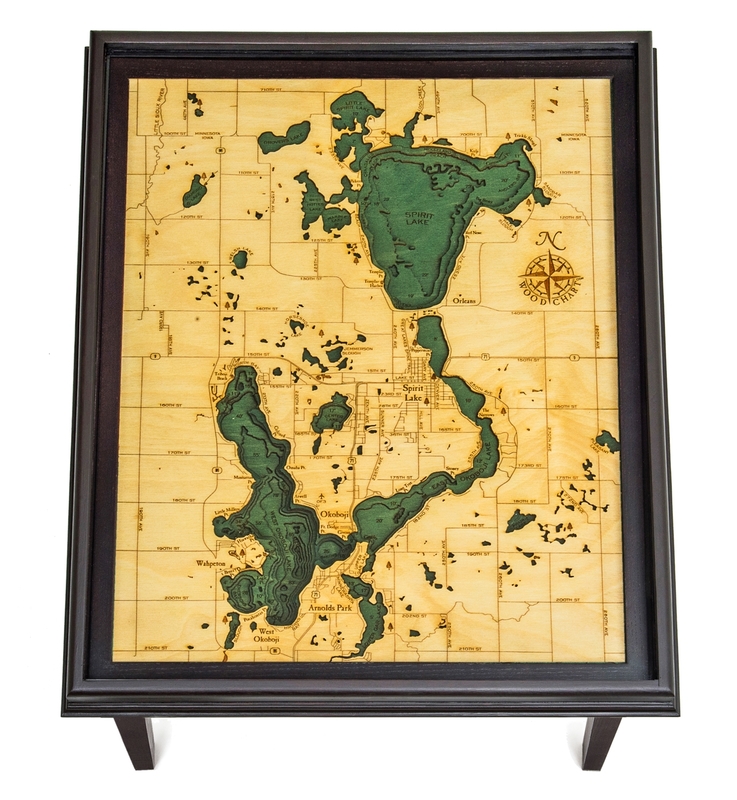 Our Lake Okoboji Wood Nautical Map End Table is constructed around the 16" X 20" Lake Okoboji Woodchart. The table stands 21 inches high and has a plate glass top. The top dimensions are 22" X 18" The table has a simple timeless design and a dark rustic finish designed to blend into a quaint cabin as well as a contemporary home. 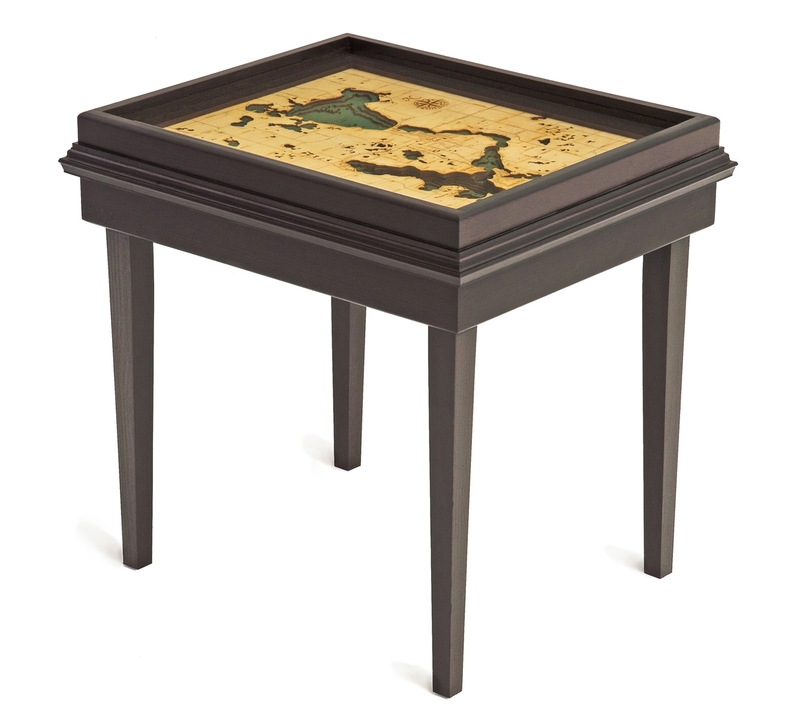 The wooden map in the side table is interchangeable with any other 16" X 20" Woodchart map. Click the assembly instructions link to view how easy the table is to assemble.